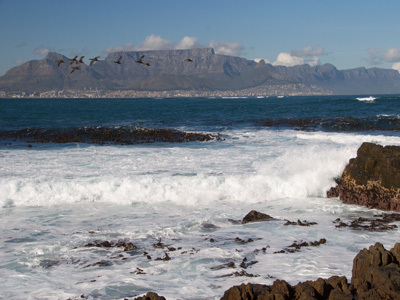 Take on the hundreds of miles of African coast in this classic South Africa itinerary. From the time-honored launch pad for such trips, Cape Town, you will explore the different landscapes that surround this beautiful and modern city. This includes a day in the nearby wine lands of South Africa, sampling some of the local goods. Drive down the coast to Gansbaai to hike and ride through landscapes that many other international travelers skip, but you'll be happy you didn't. Then fly to Port Elizabeth, where you will launch into a wildlife safari unlike any other in the Shamwari Game Reserve. Welcome to South Africa! Upon arrival, you will be picked up at the airport by a private driver and transferred to your hotel. Cape Town is one of the most beautifully situated cities in the world. Cradled by Table Mountain, it has immense charm and historical interest, while it's unique cultural blend of part African, part European and part Asian, makes for a cosmopolitan dining experience. Take the cable car or walk up Table Mountain, visit the colorful Malay quarter or meander through the wonderful Kirstenbosch Botanical Gardens. Browse through the vibrant Greenmarket Square, take a boat trip to Robben Island or simply relax on the beach. When you want to explore further, the Cape Peninsula offers one of the finest coastal drives in Africa to the Cape of Good Hope. Here, you might see whales breaching just off the bay or quirky African penguins on Boulder's beach. 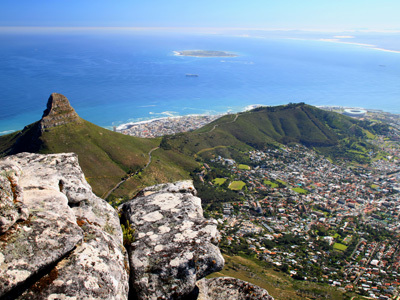 With so much to do and see in Cape Town, adventure truly awaits! You are collected for your private tour at approximately 9am (if taking a morning tour) and 2pm (if taking an afternoon tour). This is a great orientation tour of Cape Town. Highlights of this half day tour include a visit up Table Mountain on the cableway, where the varying flora and fauna will be explained; exploring the Malay Quarter - a historic picturesque area of the city with original Malay buildings and narrow streets. You tour some of the historic sights of the city center and stroll through the Company Gardens. Time permitting you will also see the Castle of Good Hope, built in 1652 and now painstakingly restored, and enjoy a photographic opportunities of Table Mountain from Table Bay. *Please Note: Table Mountain tickets are NOT included in the tour price as they are weather-dependent. Formerly a political prison, and leper colony before that, the historic landmark of Robben Island is now established as a museum and national monument. Today’s half day tour includes transfers to and from your hotel, the return ferry to Robben, the tour of Robben Island and the Robben Island Prison including President Mandela's cell. You experience the conditions of incarceration - view Nelson Mandela's maximum-security prison cell (Cell 5) and see the lime quarries. Today you will enjoy a full day private tour to the Cape Winelands for a leisurely exploration of the historic towns of Stellenbosch, Paarl and Franschhoek as well as wine tasting at local wine estates. A combination of the favorable effects of the two major ocean currents meeting off the Cape makes the climate in the area perfect for the acres of vineyards. However the majestic scenery of the winelands is unparalleled so even if you don't drink wine, the countryside and history make it well worth the visit. The stunning backdrop of the Hottentots Holland Mountains, the tree-lined streets and the white gabled Cape Dutch homesteads all blend in tranquil harmony. The scheduled tour visits two wine estates, including a cellar tour as well as Stellenbosch and Franschhoek The tastings will include high quality (and often award winning) red and white wines. Depending on which estates we are visiting, the order of the tour will vary so the description below is only a guide. You’ll be picked up this morning and head to one of the wine estates. Here is the perfect opportunity to experience the rich historical and architectural traditions of the region. After a tour through their cellars, there's a chance to sample some of their local wines as well as a cheese tasting. 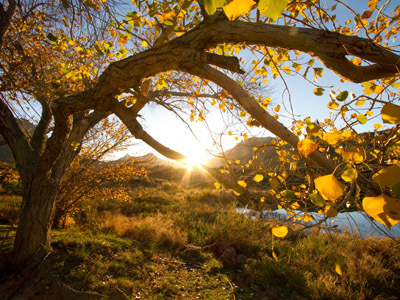 Next you head to the picturesque village of Franschhoek, set in a beautiful valley surrounded by mountains. After a short tour, a second wine tasting will be enjoyed followed by lunch (not included). After lunch, you’ll head to Stellenbosch. The Cape Dutch architecture along the oak-lined streets and the many alfresco cafes give Stellenbosch a charm that will not be quickly forgotten. As this is a private tour, you have the freedom to adapt this tour by choosing specific wine estates to visit or by adding optional excursions such as horse-riding or walking through the vineyards, visiting the Franschhoek Motor Museum or Butterfly World. Today you are collected from your Cape Town hotel for your private road transfer to your hotel in the Gansbaai area. On arrival, check in and enjoy the facilities and activities on offer at your lodge. Grootbos Private Nature Reserve, located amidst the spectacular fynbos and ancient dunes of the Southern Coast, is a multi-award winning gem. Overlooking Walker Bay, it's a nature-lovers paradise. 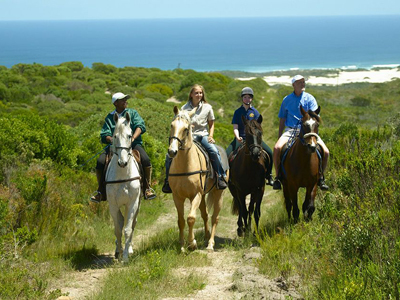 All but the most committed urbanite will enjoy the inclusive activities: guided fynbos 4x4 drives, milk wood forest walks, horse riding, beach picnics and guided land-based whale-watching as well as the optional activities of boat-based whale watching and shark cage diving. A dedicated team including marine biologists and conservationists help you to appreciate what makes this area so special. Other excursions (at extra cost) include guided wine tours around the excellent Hermanus wine estates, aerial flights over the Ocean and visits to their community garden project to see sustainable tourism in action. Grootbos consists of two lodges, the original family-friendly Garden Lodge and the new contemporary Grootbos Forest Lodge. Enjoy 2 full free days exploring and taking part in the activities on offer at the lodge. *Flight not included - can be arranged upon request at an additional cost. Today you are collected from your lodge in the Gansbaai area and transferred back to Cape Town Airport for your flight to Port Elizabeth (flight not included - airfare can be arranged upon request). On arrival at Port Elizabeth Airport you will be met by your driver who will be holding a sign with you name on it. You are then transferred to your game lodge in the Eastern Cape area. Shamwari is at the convergence of 5 ecosystems and this diversity supports the Big Five and a rich bird life. This beautiful 20,000ha malaria-free reserve is situated in the verdant bush along the Bushmans River, between between Port Elizabeth and Grahamstown. Luxury accommodation consists of 6 varying air-conditioned lodges on the reserve. As well as morning and afternoon game drives with experienced and well trained rangers, you can visit the two Born Free Big Cat Sanctuaries based here. 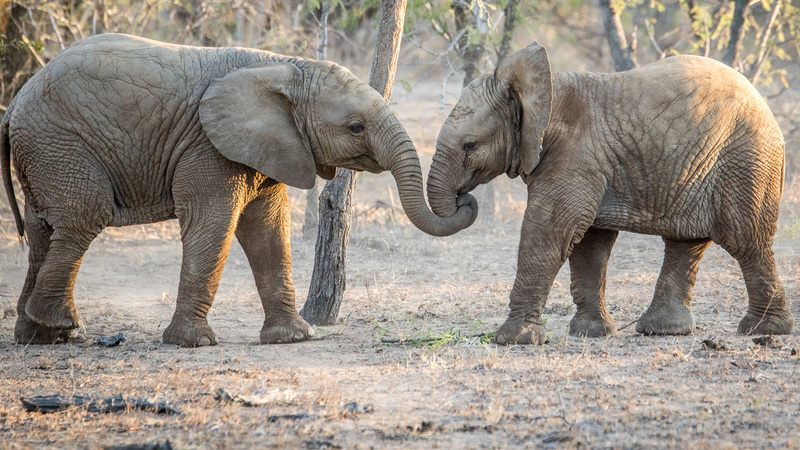 A safari is nearly always an important part of a holiday in Southern Africa - words cannot describe the thrill of tracking a lion on the hunt or observing a breeding herd of elephants at a waterhole. 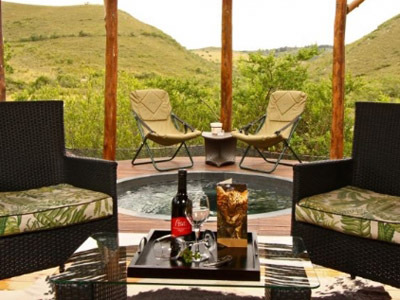 In the Eastern Cape lie several malaria-free game reserves and private concessions. 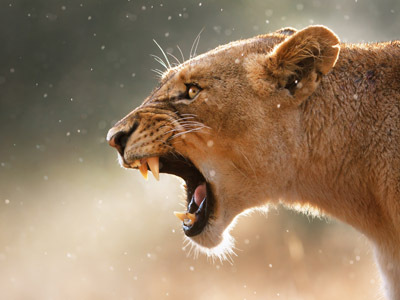 Thousands of hectares have been returned to natural bushveld that supports predators as well as abundant plains species. Staying at a private game lodge is an intimate and informative experience. For the next few days you will enjoy game drives in open-vehicles with an experienced ranger who can give you a deeper understanding of the wildlife and the natural cycles of the bush. Drives are in the early morning and late afternoon when game is most likely to be active. 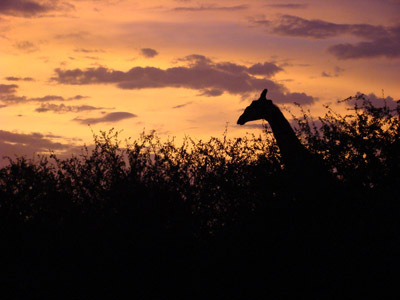 After enjoying the bush sunset, a night safari begins following nocturnal animals as they begin to hunt. The evening meal is often enjoyed in a 'boma' which many guests feel is a particularly evocative treat. Today, you will be collected by our representative from your game lodge and transferred to Port Elizabeth for your departing flight. 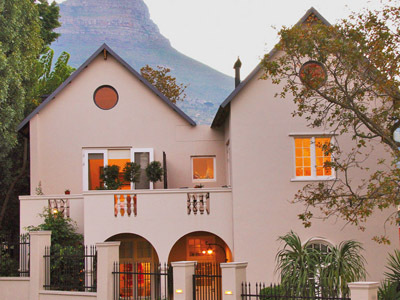 Four Rosmead Guesthouse is situated on the slopes of Table Mountain and offers breathtaking panoramic views of the mountain, Lions Head, Signal Hill, Table Bay and the city. This elegant boutique hotel, is within walking distance of the city center, for your convenience. Built in 1903, the property has been stylishly remodeled for its classic Cape heritage to blend harmoniously with a contemporary and modern style. The decor is chic with a subtle, distinctive African spirit. Accommodation consists of eight individually styled en suite guest rooms. A small massage room spa and a patio overlooking the pool deck and herb garden, all contribute to a sense of urban sanctuary, which welcomes you to relax and unwind. 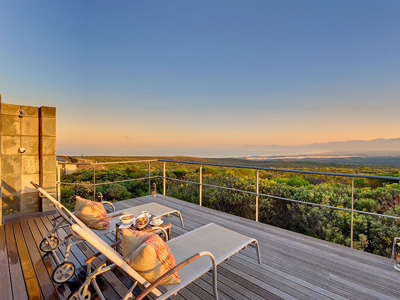 Grootbos Forest Lodge is an architectural masterpiece of sophisticated contemporary design. The property boasts 16 luxury suites nestled in a 1,500 year old milkwood forest, with glorious views of the Atlantic Ocean. The rather extravagant main lodge, houses glass walls that embrace and accentuate the ocean views. The lodge also features a restaurant, bar and gallery area. Wooden fireplaces and subtle lighting enhance the warm, romantic ambiance. Outside, you will find a deck and stylish infinity pool with stunning panoramic ocean views. This is an idyllic hideaway experience. A blend of aesthetic beauty and supreme comfort will not disappoint! So, come ready to awake in luxury to the blissful sights and sounds of bird song and waves crashing in your own backyard. 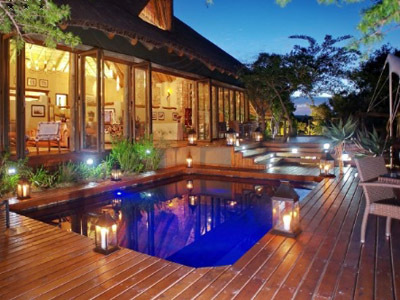 Bayethe Lodge is a 5 star luxury lodge of nine tented suites. 'By-ye-ti' is the welcoming greeting you will receive on your arrival at this splendid stone walled and thatch roofed lodge. Each of the 9 twin bedded suites is nestled along the bed of the river, camouflaged under trees allowing ample privacy and unsurpassed comforts. Each tented suite is air-conditioned and heated and has an en-suite bathroom, outdoor shower, private plunge pool and viewing deck. Early morning and evening game viewing drives in open land rovers as well as guided nature walks and bird watching are all part of this magnificent experience. In our opinion, Bayethe is one of the two nicest lodges in Shamwari, (alongside the more expensive Eagle's Crag Lodge), as it has a true authentic bush feel and yet is still luxurious. However please note that it is located slightly away from the main part of the reserve on its own concession area and so you do have to drive a little further to get to the main part of the reserve when on your game drives. Each tented suite is air-conditioned and heated and has an ensuite bathroom, outdoor shower, private plunge pool and viewing deck. Early morning and evening game viewing drives in open land rovers as well as guided nature walks and bird watching are all part of this magnificent experience. This is just one of many authentic travel experiences offered by Global Basecamps. If you are interested in more unique destinations to South Africa with extraordinary service and planning visit our main South African Safari page to browse other sample trips.